Every case and every client is different. Although most clients have never faced the decision of going to trial and facing prison, an experienced criminal defense attorney has been in the situation with many clients. In a criminal case, the attorney and client have different roles, and although both must work together throughout the process, each have separate responsibilities. The first step to evaluating your case and deciding the best course of action is to hire an experienced Oklahoma criminal defense attorney. Cannon Law Firm is dedicated to Fierce Advocacy for those facing the potential of going to jury trial on any type of criminal offense and John has been there with countless clients over the years. Once you have hired an Oklahoma Criminal Defense Attorney, you can begin to build your defense, tell your story, and make the important decision of fighting your case and seeking a plea agreement. In criminal cases, the client decides all substantive issues, including whether or not to go to trial. The attorney may and should advise his/her client about all the pros, cons, and considerations in going to trial, but the decision is the client’s and the client’s alone. Clients must decide whether to go to trial or enter a plea agreement. Client accepts guilt: the majority of criminal cases are resolved with a plea agreement. Many of my clients are more than satisfied with the plea agreement our firm is able to obtain in their case, due in part to the work the client does after hiring our firm, as well as the aggressive representation by our firm. Every plea agreement my clients enters is better than the worse potential outcome and trial. Client accepts plea offer: sometimes clients accept the plea agreement our firm is able to obtain for them, even if the prosecution’s case is not the strongest against the client. The certainty of a favorable plea agreement is often better than the potential for a lengthy prison sentence. Trial is expensive, and the combination of attorney fees, time away from work, time away from family, and the emotional strain is often too much for criminal defendants, which leads many to choose to accept the best plea agreement available in their case. Collateral Considerations: Some clients face matters outside their criminal case which are very important to them or their family. A criminal defendant that is not a citizen may risk conviction at trial, instead of entering a plea, to avoid the immigration consequences, such as deportation, denial of citizenship, etc. Clients with professional licenses, i.e. Doctors, Realtors, etc. sometimes go to trial to avoid the risk of losing their license and source of income. Additional consequences exists, which apply to specific clients’ circumstances. Lesser offenses: Often, a criminal client will have the option of entering a plea to a lesser charge in exchange for not forcing the prosecutor to prove his/her case at trial. Fewer included offenses sometimes provide a much more favorable outcome for a client, which is reason enough by itself to enter a plea. Other considerations: there are a number of other factors specific to clients and criminal charges that point towards going to trial or entering a plea; however, they are too numerous to describe here. The important point is to hire an attorney with the experience to recognize those factors and be able to speak intelligently to you about each. Will there be an Offer for my First Offense? 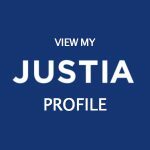 The prosecution is not obligated to provide a plea agreement; however, judicial economy and the potential to lose any case at trial dictates the prosecutor in almost all cases makes an offer to resolve the case. The specific offer depends on a number of factors: the charged offense(s); your background; the victim(s); the strength of the prosecution’s case; the approach of the prosecuting office; and the experience of your criminal defense attorney, to name a few. There are a variety of potential outcomes in a criminal case; however, other than a dismissal and an apology, a deferred sentence is the best realistic outcome. A deferred sentence is exactly what it sounds like, the judgment or conviction is deferred, or set off, for a number of months or years. During the delay, you will be required to complete a number of probation requirements; your attorney can and should work to make the conditions easier. Upon successfully completing probation, and staying out of trouble, the case will be dismissed on the date the case was deferred until, i.e. if you receive a two-year deferred on January 9th year one, then your deferred sentence would be up on January 8th year three. In more serious cases, or if you have a criminal record, the best outcome you may seek is a suspended sentence. In a suspended sentence, you receive a felony or misdemeanor conviction; however, your jail or prison sentence is set off for a period of time. Just like the deferred sentence, if you are successful you will not go to jail or prison, but the conviction will remain unless or until you get an expungement. Our firm will do everything possible to defend your freedom and your future. As a former prosecutor, John knows being charged with a crime does not mean you are guilty. You have the right to the presumption of innocence and representation by the best criminal defense attorney you can find. When facing criminal charges in Oklahoma; threating your future, finances, and freedom, contact Cannon Law Firm in Oklahoma City for your defense. John is a Fierce Advocate for every client and is ready and willing to go to trial on any case and hold the government to its burden, beyond a reasonable doubt. Our firm I will investigate the allegations; examine law enforcement conduct; interview all potential witnesses; examine credibility issues with your accusers; identify all potential defenses; and identify every weakness in the prosecution’s case. 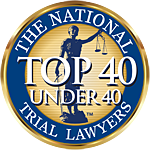 John has been recognized as a Top 40 under 40 in Criminal Defense by the National Trial Lawyers Association. Additionally, he has an outstanding record of reaching the best possible outcome for hundreds of clients accused of the wide variety of criminal charges, as evidenced by receiving the highest possible AVVO rating – 10 (superb). Contact Cannon Law Firm today.